In further proof that Supreme Court Justice and imaginary Jezebel best friend Ruth Bader Ginsburg is the best, a Reddit user reports that she made RBG a lace collar, and Ginsburg responded with a gracious thank you note. You just knew she was great about writing thank you notes, right? 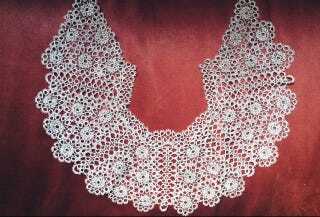 The lace collar is elegant. I will wear it often, with appreciation for your artistry and caring. RBG has something of a history of fan correspondence—when a woman invited the justice to her wedding last year, Ginsburg responded with a kind note wishing her the best. Glorious. Congratulations, Sahrabee, and further congratulations to RBG for being the well-mannered boss we knew she was.